Rheumatoid arthritis (RA) is an autoimmune disorder that causes chronic inflammation, usually in the small joints of the hands and feet. Unlike osteoarthritis, which occurs when the tissue at the ends of the bones wears down, rheumatoid arthritis occurs when the immune system attacks the tissues that line the joints. It is a painful, often debilitating condition that is typically treated with increasingly stronger prescription medications. Unfortunately, many of these drugs have potentially harmful side effects. For this and other reasons, many patients turn to complementary medicine for rheumatoid arthritis. In Poway, CA, Dr. Bret Mosher combines the most effective therapies from Western and alternative medicine to provide relief. Dr. Mosher has decades of experience in natural medicine and expertise in creating personalized treatments for achieving and maintaining optimal health. To learn more, contact us and schedule a personal consultation. RA has no cure, but effective treatment can reduce symptoms and prevent damage to the joints. RA is the most common type of autoimmune arthritis, and it can develop at any age. However, it usually begins after age 40, and it is significantly more prevalent in women than men. Symptoms of the disorder can include swelling of the joints, tenderness and warmth, morning stiffness, and firm nodules (bumps) under the skin on the arms. Other symptoms may include weight loss, fever, and fatigue. In the early stages, RA tends to affect the smaller joints, such as those in the fingers and toes. As the condition worsens, it can also begin to affect the wrists, elbows, ankles, knees, hips and shoulders. As with other autoimmune disorders, symptoms vary in severity and they may come and go. Because the signs of RA are similar to those of several other diseases, it can be difficult to diagnose in early stages. Besides causing pain, stiffness, and swelling, RA can cause the joints to move out of place and become deformed over time. RA has no cure, but effective treatment can reduce symptoms and prevent damage to the joints. Conventional medicine focuses on pharmaceuticals to reduce joint inflammation and physical therapy to help protect the joints. The use of pharmaceuticals is intended to target the aspects of the immune system that are triggering the inflammation. These drugs include steroids, disease-modifying anti-rheumatic drugs (DMARDs), and non-steroidal anti-inflammatory drugs (NSAIDS). Side effects include diabetes, weight gain, and weakening of the bones (steroids); liver damage and severe lung infections (DMARDs); and heart, stomach, liver and kidney problems (NSAIDs). Stronger drugs or combinations of drugs are typically prescribed as the disease progresses. 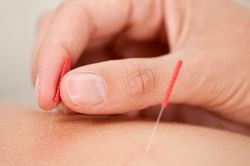 Acupuncture: Growing evidence indicates that acupuncture (especially electroacupuncture) significantly lowers protein messengers that are associated with the chronic inflammation of RA. Diet and Supplements: Both fish oil and plant oils (specifically evening primrose, borage, and blackcurrant) have been found to reduce RA pain and stiffness. Mind-body Therapies: Meditation, guided relaxation, breathing exercises, yoga, and tai chi can help patients manage pain and improve strength and flexibility. It is critical to work with a qualified complementary medicine practitioner if you wish to take an alternative approach to treating RA. Attempting these treatments without professional guidance, forgoing needed conventional treatments, or going to an alternative provider who is not properly trained can be ineffective as well as dangerous. Dr. Mosher is a world-renowned expert in natural and functional medicine. If you are interested in learning more about how he can help you, please contact our practice today.